Multidisciplinary researches and articles of Science, Medical Science, Technology, Engineering, Management, Life Sciences, Medicine, Pharmacy, Veterinary, Microbiology, Biotechnology, biochemistry, Chemistry and many more are published here. 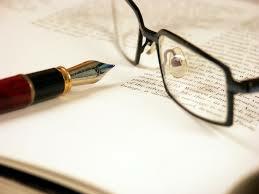 We also accept conference proceedings, thesis, projects and dissertations of the entire defined fields. Features of Articles: All the submitted articles should be author(s) original work; it should be experimental data or theoretical application. Article submitted to the Research Publish Journals Should meet journals rigorous peer review standard for considering it for publication. All authors are advised not to submit Plagiarism material. a) Original Research: These articles should be clear and preciously describe the original research work. It should be accurate and complete itself so that other can easily verify the work with methodology used and experiments done for obtaining new finding. c) Review/Survey Articles: Review articles shows literature survey of particular area/problem in organized and precise manner while Survey paper gives the common comprehensive outcome from many research work analysis.d) Project Summary Report: Graduate and PG student are doing summer training/industrial training during their education. We are also welcome to publish for the same. d) Project Summary Report: Graduate and PG students are doing summer training/industrial training during their course tenure. We welcome to publish for the same. This is the best platform to bring their efforts in public knowledge. 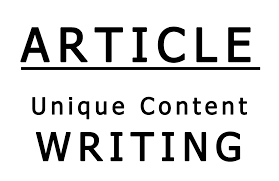 All kinds publishing Articles/Papers are reviewed by our expert team members and decisions is made after effective and quick review. 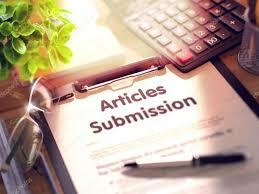 Authors are requested to submit only their own and original research paper. Please submit your [email protected] [email protected] / [email protected] along with title page, corresponding author contact number. (Preferably as one single document in Microsoft Word). Pharma Awareness have prime aim is to promote and disseminate new scientific research work to each and every corner of the world. Presently, we do not get any fees from any government/ private institution/author across the globe. Our vision is to provide free publication of paper/Articles to each and every nation for improvement in education quality, and therefore it cause improvement in lifestyle of people. Note: Remember we are publishing your articles in our Pharma Awareness site only, not in any other journal.